The Basilica di Santa Maria del Fiore (English: Basilica of Saint Mary of the Flower) is the cathedral church of Florence, Italy. 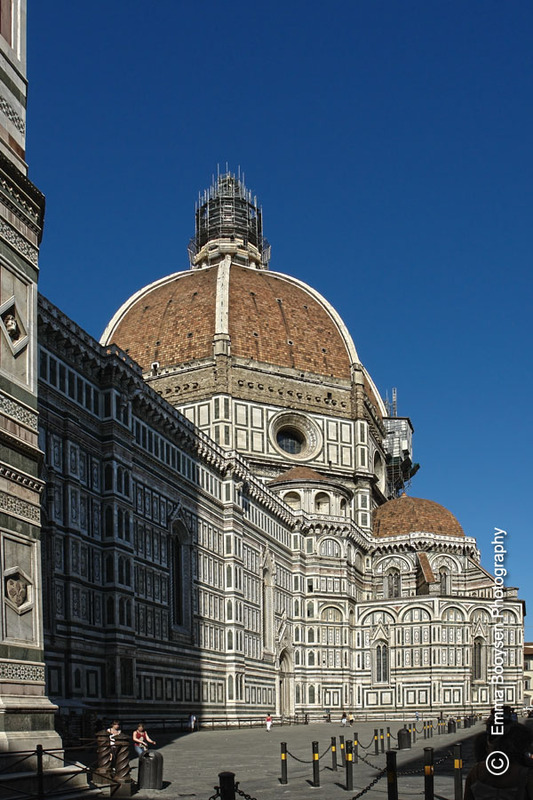 The Duomo, as it is ordinarily called, was begun in 1296 in the Gothic style to the design of Arnolfo di Cambio and completed structurally in 1436 with the dome engineered by Filippo Brunelleschi. The exterior of the basilica is faced with polychrome marble panels in various shades of green and pink bordered by white and has an elaborate 19th century Gothic Revival façade by Emilio De Fabris (Wiki).